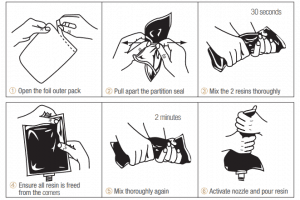 3M LVI-3/x-IC Scotchcast hazardous area resin cable joint kits are designed to be used for multi-core or multipair, armoured polymeric, low voltage Control and Instrumentation cables in hazardous areas. 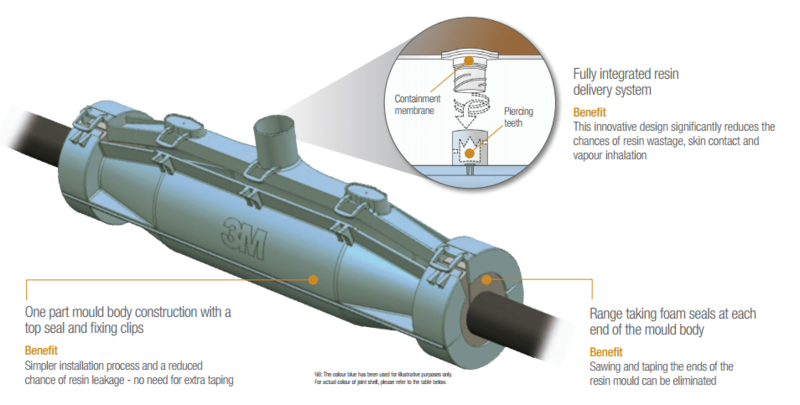 3M LVI-3/x-IC hazardous area cable joints incorporate electrical insulation and mechanical protection and are compatible with both compression (crimp) connectors or mechanical shearbolt connectors which are flame retardant and chemical resistant. The cable joint shell and resin is flame retardant, hydrocarbon resistant and halogen free. Jointing kits can be used for indoor and outdoor, underground direct burial and submerged applications in hazardous area and non-hazardous area locations – straight and transition joints (jointing dissimilar cable insulation types) including EPR, XLPE and PILC cable are available. Complete range of resin cast, Cold Shrink and heat shrink type cable joints are available for jointing cables in hazardous area locations. 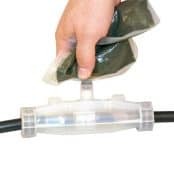 3M Scotchcast LVI-3/x-IC resin inline or straight cable joint kits are supplied with a one part translucent mould body for simple and easy handling. Distances inside the cable joint body can be checked easily. Scotchcast resin 1402FR is delivered in a two chamber bag with integrated spout and aluminium Guard Bag for protection of the resin against humidity. The following table enables the selection and specification of hazardous area cable joints according to the 3M Scotchcast LVI3-IC range: cable joints are suitable for both air installation locations in potentially explosive atmospheres with flammable gases/vapours or direct burial in underground cable trench with hydrocarbon contaminated soils and ground conditions. 3M LVI-3/x-IC Scotchcast resin cable joints are tested according to EN50393. Scotchcast 1402FR resin is in compliance with EU regulation 1907/2007/EC (REACH) and has a shelf life of at least 36 months when stored between 10°C and 40°C with a humidity level < 75 % in the originally sealed bag. 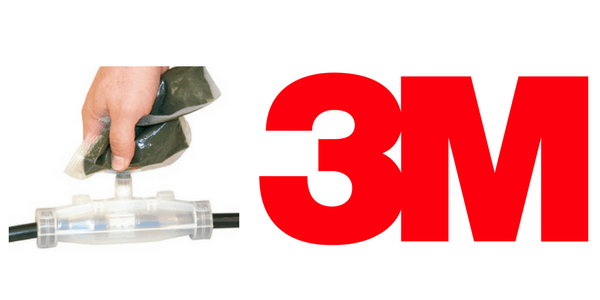 3M LVI-3 cable joint kits should be installed in temperatures above freezing point to ensure that the Scotchcast resin is properly mixed and cured (the resin can be warmed by the cable jointer in a vehicle if required). Once installed the cable joints are stable at lower temperatures down to -40°C.